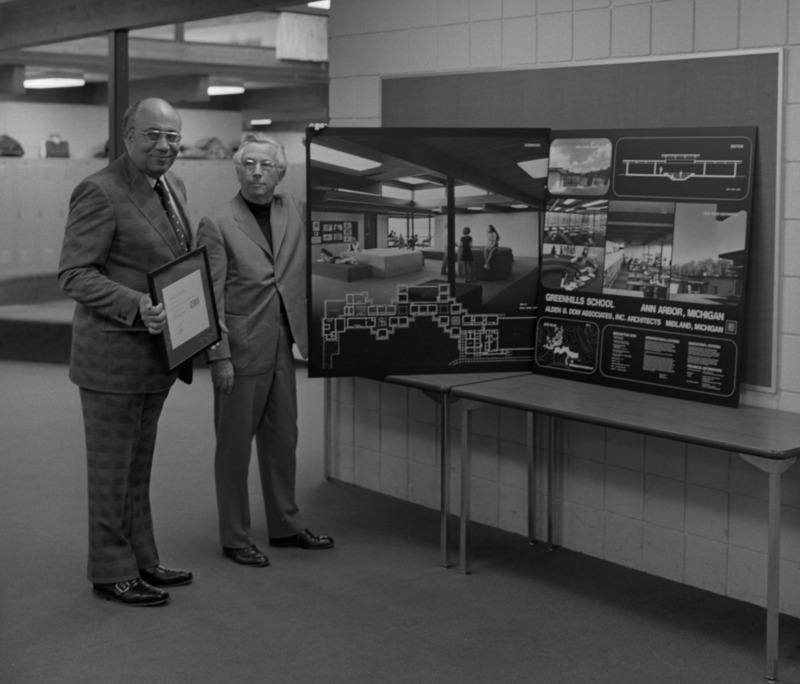 Ralph M. Gibson, chairman of the Greenhills School Board of Trustees (left), and Midland Architect Alden B. Dow examine a photography exhibit of Greenhills which was selected for exhibition at the annual convention of the American Association of School Administrators to be held in New Jersey in February. The exhibition of school architecture, sponsored by the American Association of School Administrators and the American Institute of Architects, is an annual feature of the convention. In addition, Dow, architect of Greenhills, said the exhibit will also be on display at the National Association of Secondary School Principals Convention, the National School Boards Association and the Didacta in Brussels, Belgium in June.